Gulfstream Aerospace had two reasons to celebrate on August 14–the 55th anniversary of the GI’s first flight in 1958 and the 10th anniversary of the G550’s FAA certification in 2003. It was the first time in Gulfstream history that an aircraft received both certifications on the same day. 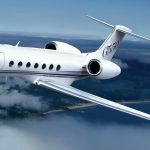 Gulfstream GV, G500, and G550 – What’s the Difference? Have you ever wondered what the difference was between the Gulfstream GV, G500, and the Gulfstream G550 private jets? When looking to charter a jet, it is important to know the exact ins and outs of the aircraft that you are planning to fly on. 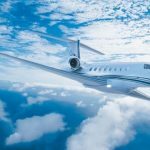 Obviously, we make it a point to supply the best aircraft possible when you charter jets through Magellan Jets, but it’s still good to know all the facts!